When Max first fell for April, daydreams were all he had. A lot has happened since then, and now he’s found her again. How will this single dad convince her to let go of their history and give love a chance? This Christmas novella is a feel-good romance about a man looking for a second chance with a woman he’s loved for years. It was just his luck. The woman who haunted his dreams was wrapped in his arms, and she was crying for another man. After ending his stint with the Marine corps, Jim Donovan dialed back his alpha attitude and befriended military widow Sally Johnston. His resolute control hides more than the warrior persona he’s chosen to set aside. The handsome D.M.V. has kept his heart hidden as well, waiting for the woman to recover from her loss. That time might be here, but a stalker has surfaced targeting Sally. Following his own code of honor, Jim must protect the woman he loves, but won’t allow himself to chase her. She’s going to have to come to him. Stubbornness is Sally’s strong suit. She doesn’t want protecting or to fall in love. If she needs a sexual outlet, she’ll give Jim’s new young colleague a try. She can’t indulge in a short-term fling with Jim, despite the way being near him makes her feel. Keeping his friendship is more important. And as to the stalker? She knows how to deal with that. Ignore him and he’ll go away. She and her son have made it alone for the last five years. She doesn’t mean to change that now. So she goes about her daily life, managing an animal shelter and caring for her son. While from the woods behind her home, cold eyes watch her every move. She’s only one faithless man removed from innocence, but to Daniel Smith she’s a tramp trolling for a new meal ticket. He passed judgment on Tammy Carmichael the day he met her and he means to protect his friends in York by offering himself as bait. Naturally, there will be side benefits. Tammy is a high voltage package of good looks and talent. She’s not interested in taking a second chance with her heart, but Daniel looks like a green-eyed advertisement for male. And a woman does have needs… Two people, dead set against love. Join them as hearts are broken and rebuilt on the way to happily ever after. It’s time to THINK CHRISTMAS!! 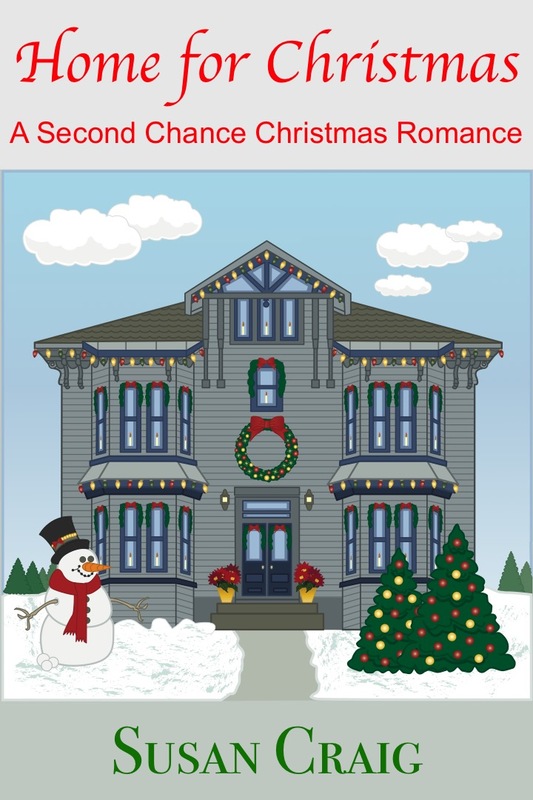 My earlier novella, Home for Christmas, also features one of the characters from York. 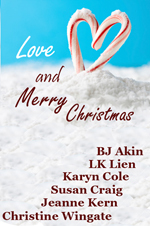 April Windham’s story was published in the anthology, Love and Merry Christmas–six wonderfully different Christmas stories from six talented Nebraska authors. It actually happens after the three books in the trilogy. Check it out!